Neverwinter Nights: Darkness Over Daggerford Is Now Available! 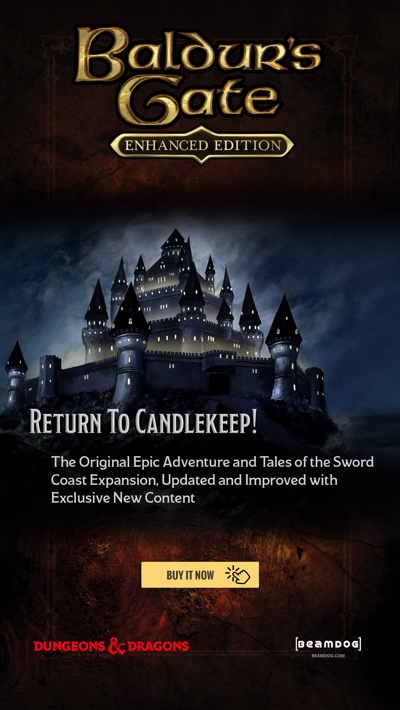 Beamdog and Ossian Studios are excited to announce the award winning premium module Darkness over Daggerford has been enhanced for Neverwinter Nights: Enhanced Edition! This expansion-size adventure has 25+ hours of story-rich gameplay, 12 new music tracks, 12 new character portraits, new voice over, and nearly 500 gameplay improvements over the original! Neverwinter Nights: Darkness over Daggerford is now available on Steam for $9.99 USD and will be coming soon to Beamdog.com and other stores. Find the complete change log from the original Darkness over Daggerford release here. “Back in August of 2006, when we released Darkness over Daggerford for free to the Neverwinter community, it was with a certain level of bittersweet satisfaction. 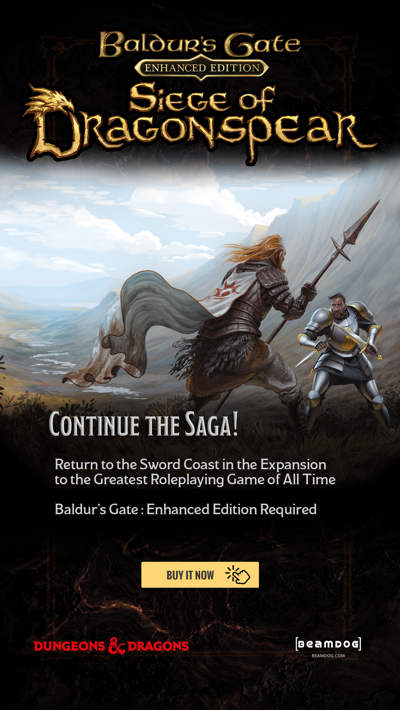 We had managed to create a great 25+ hour premium module for BioWare with a classic-style D&D story that took inspiration from the Baldur’s Gate games, including world map exploration, beautiful areas, colourful characters, and an abundance of very original and intriguing sidequests. We took great pride in what we’d created, but when the premium mod program unexpectedly cancelled, Daggerford was never able to achieve the official game status it was intended to have. Visit Darkness over Daggerford on Steam to find out more. Congrats to Ossian on finally getting to release daggerford the way it was supposed to be. Can't wait to see what the future holds for Ossian. WONDERFUL news! Buying it on Steam right away! Not too thrilled that we now have to pay for something that was originally free. A true sign of the times.